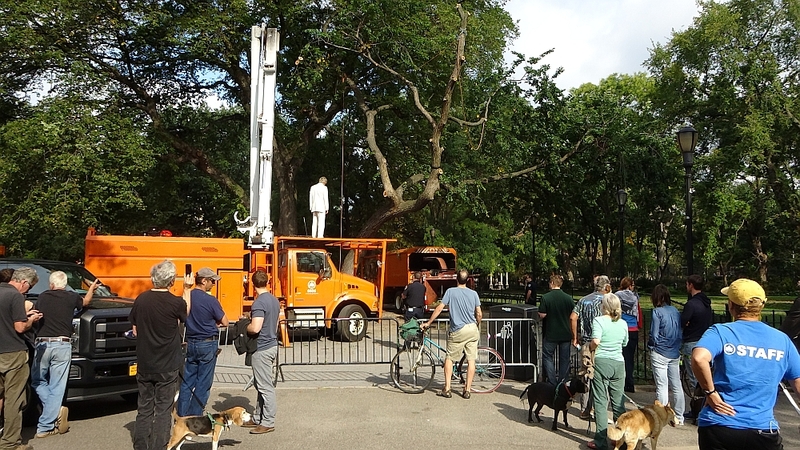 The Leaning Elm, one of a pair of American Elms in the Central Plaza of Tompkins Square Park was cut down yesterday. 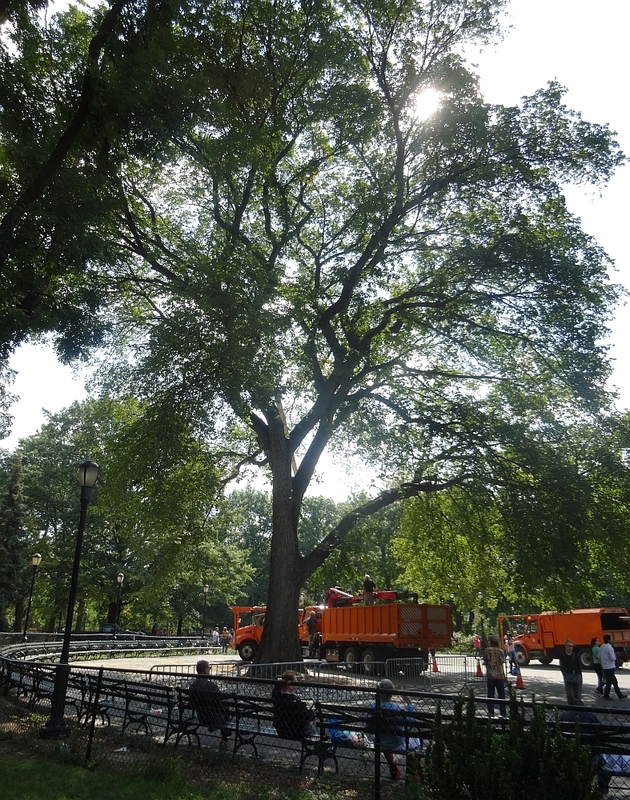 The arborists feared that it was a danger to the public. 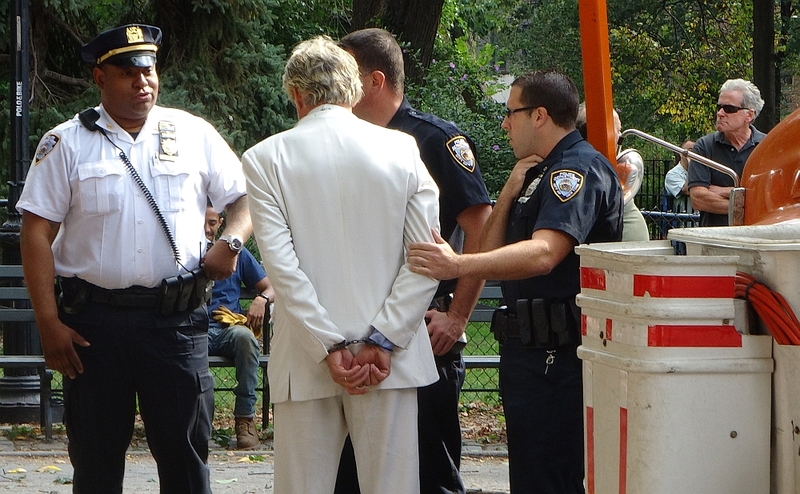 Reverend Billy showed up to try and climb the tree and tree-sit to prevent it coming down. 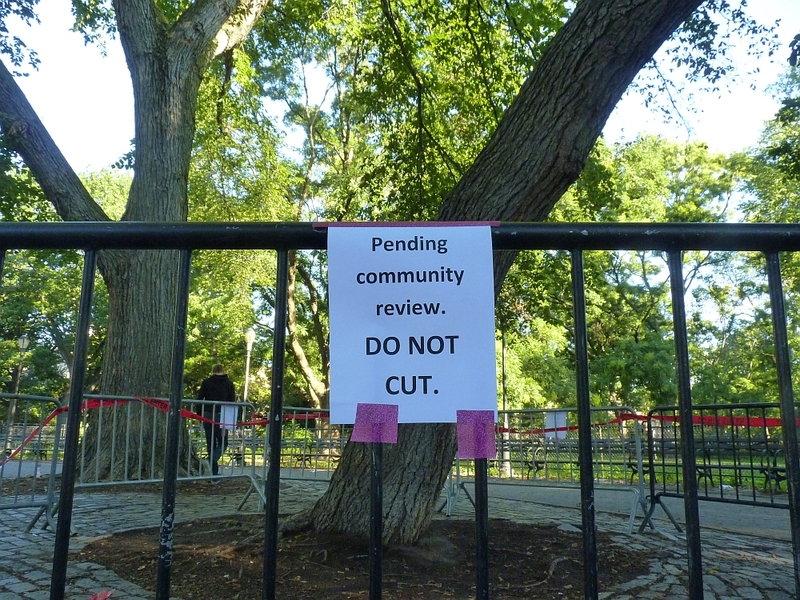 I heard the sad news today on EV Grieve, the Leaning Elm (Also known as the Yoni Elm) is scheduled to be cut down. 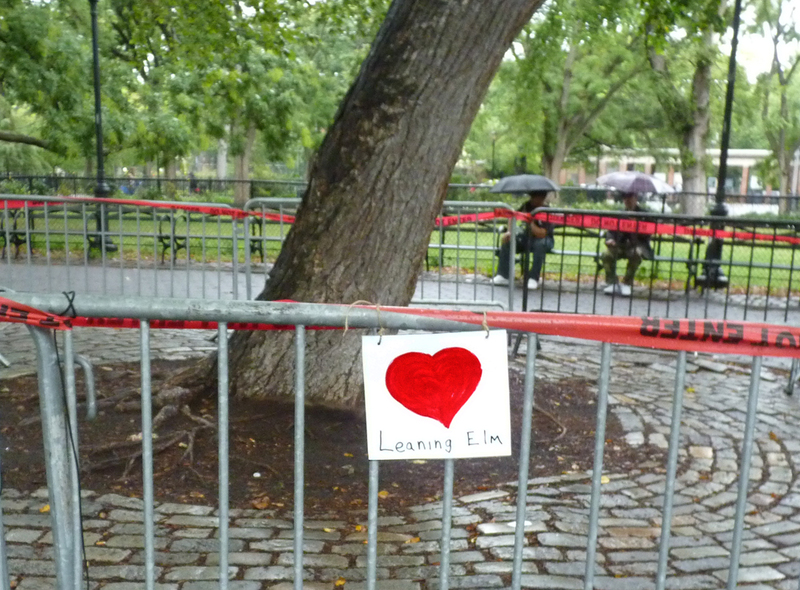 I painted a heart to leave a token of my love. 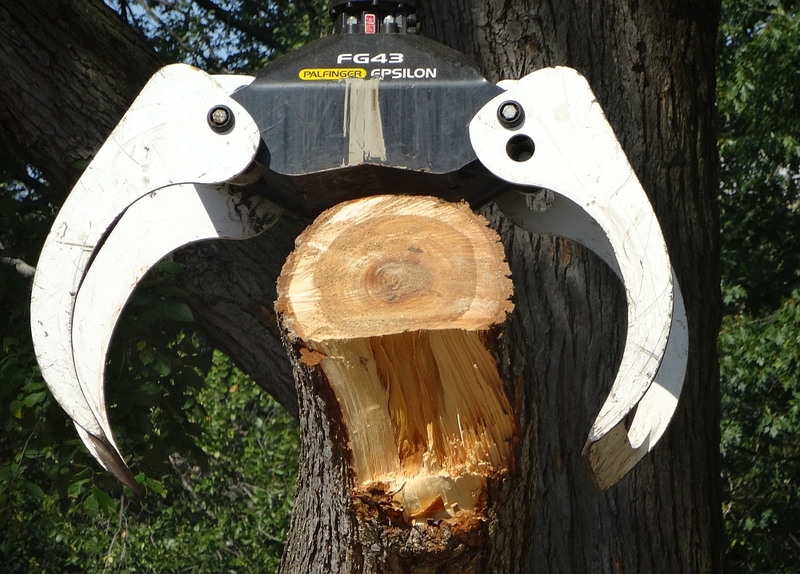 I saw the arborists checking out this tree back in April. 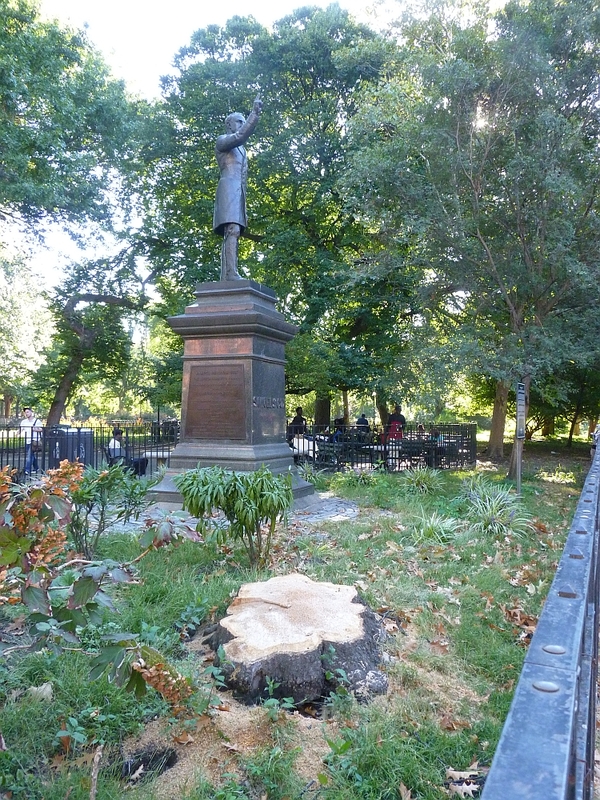 When it remained untouched this past summer, I thought it had checked out OK, but no, according to Tompkins Park Gardener Debby Hulse, the results of that examination is why it is coming down now. 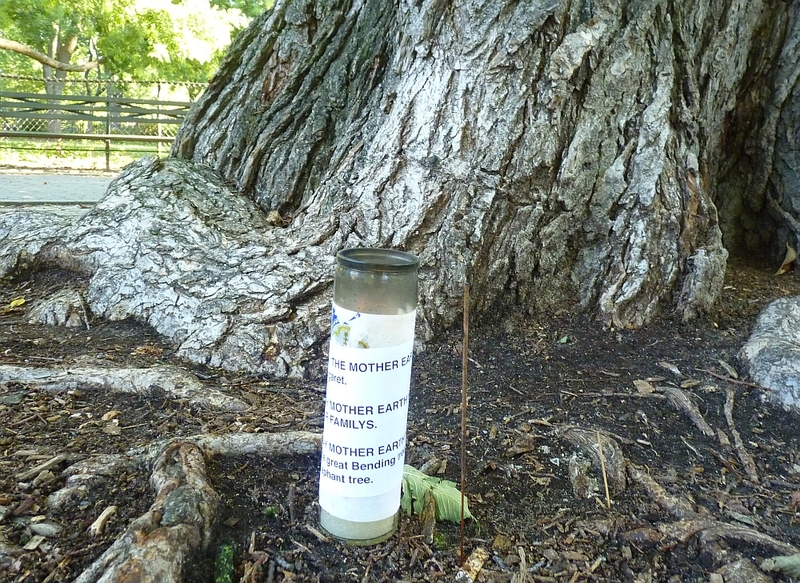 It is hollow and unstable. 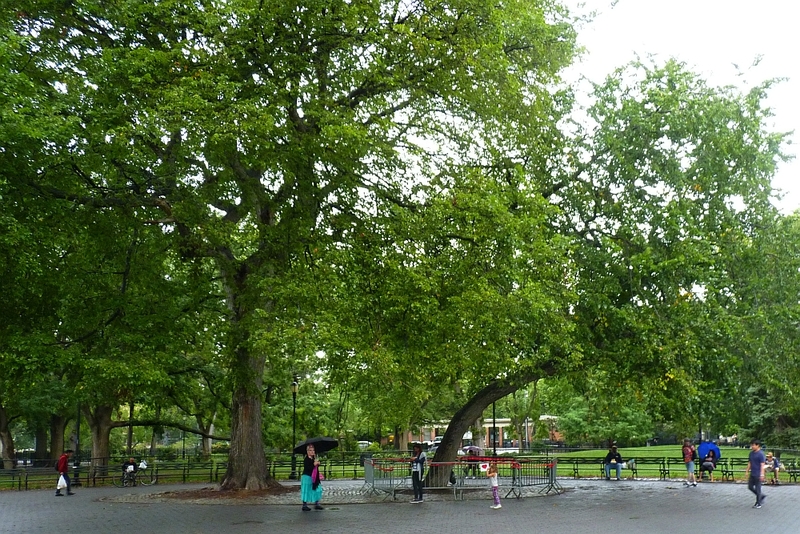 The tree has been supported by cables attaching it to the Krishna Tree for several years. 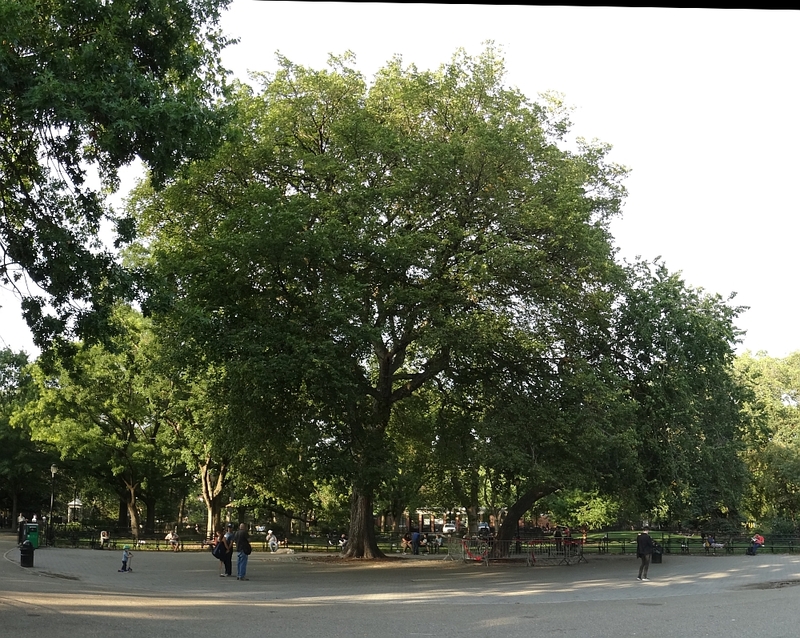 Its loss will drastically change the feel of the Central Plaza of the Park, especially from losing the shade for the benches in the heat of Summer.